What are the insurance needs for a family? For lost of income due to disability, the sum assured desired is the existing gross salary. However, the insurer will only be willing to insure at most 75% of one’s gross salary subjected to a limit. Thus, it is not possible to insured 100% of the salary. Such an insurance is called Disability Income Insurance. Avoid Disability Income Insurance plan that exclude pre-existing illnesses by default. For medical bill due to hospitalization, you have to decide which hospital you will be staying upon admission to a hospital. Since nobody plans to go to hospital, it is usually recommended to assume that you may stay in a private hospital. For practical purpose, most people will consult their GP for minor ailments which if becomes major, a private specialist will be recommended for follow-up. If the private specialist recommends admission, it will almost be certain be a private hospital. In order to be admitted to a government restructured hospital, it is an open secret that people will visit a polyclinic and ask to be referred to government hospital. The latter is troublesome and time consuming and only appropriate for non-urgent cases. For maximum flexible, assume the most “expensive” case which is the private hospital. To obtain a lump sum payment to meet high expenditure upon critical illness, a whole life policy is more appropriate. Such a policy covers for life but these days it is possible to get a whole life policy which its premium is limited in years. These days, it is common to have at least $200,000 in critical illness cover. For lost of income due to death, it is more appropriate to consider term insurance which provides high cover at low cost because the coverage term is temporarily only. The amount required is based on lost of income x period of years. For example if the annual income was $50,000 and there are dependents for the next 20 years, the sum assured (without taking account of inflation) is 50000×20=$1 million. What are the financial needs of a person who is single? What are the financial needs for juvenile? High expenses due to critical illnesses of the juvenile. For juvenile, it is important to note that many insurers exclude the whole life critical illness that originates from congenital diseases. Some have a waiting period of the first 7 years of the child’s life while others permanently exclude it. Others will cover it without waiting period. In terms of hospitalization insurance, some permanently exclude congenital diseases while others have a waiting period of 2 years before they are willing to provide the cover. What happens if I am unable to pay for the hospital bill? The following is the procedure on what happens if you are unable to pay for the hospital bill: Restructured Hospital Arrears. At any point in time, if the patient express problem paying the hospital bill, other options will be explore such as “restructure” the debt through installment plan or help patient to get more subsidy using Medifund. Note that Medifund is only for the lower-income group and is subject to means testing. Therefore, it is highly important that one ensure adequate and correct type of medical insurance. What is Private Integrated Shield Plan and Medishield? All Singaporeans automatically are opted into the Basic Medishield when their CPF account is first opened. This is typically when they start their first job. For those who want a better coverage, they would look at those “enhanced” shield plans called the private-integrated shield plans. Why are they called integrated shield plan? When a person buys a private shield plan, the Basic Medishield does not cease. Take for example, say a person buys NTUC Enhanced Incomeshield Preferred Plan. This Incomeshield internally consists of two portions namely the liability insured by NTUC Income and the liability by CPF Board which is the Basic Medishield portion. So effectively there are two insurances “integrated” into one. However, the policyholder only pays one premium to the insurer. This premium is inclusive of the premium for Medishield. From transaction point of view, the CPF member will only see a single deduction of premium from his medisave account by the insurer. But in reality, that single deduction of premium is inclusive of the Medishield’s premium. When comes to claim, the insured claims from his own insurer – not CPF Board. However, the liability is shared between the insurer and CPF Board. This is done transparently to the insured. The advantages of having an integrated shield plan are: (1) If the insured decide to switch to another insurer, the Basic Medishield remains unchanged. While the new insurer may exclude pre-existing illnesses, the Basic Medishield will not have this issue since it was never terminated. (2) The claim process is quite easy. The insured just needs to tell the hospital staff that he wishes to claim from his shield plan and they will be able to process the claim automatically. The staff will know about this shield plan because of the integrated computer system. However, there are complications that many financial advisers and consumers are not aware of. Most shield plans these day can be paid by cash instead of medisave. There are many people who pay the shield plan by cash. These are those without medisave account. All foreigners such as those holding work permits and employment passes do not have a medisave account. So they have no choice but pay by cash. If the shield plan is paid by cash, it means it is not integrated. The policy becomes like a standalone medical insurance policy. The implication is that the claim process becomes manual driven and less efficient. Another implication is that the insurer now bears the entire risk by itself as there is no more risk sharing with CPF Board because there is no Basic Medishield component within the policy. The complication of cash-only shield plan comes in when the insured wants to integrate with Basic Medishield. For example, when a foreigner becomes a Singapore Permanent Resident the CPF account will open. But there is risk of integrating. When the shield plan is integrated, would the Basic Medishield be underwritten on the date of integration? Remember that the Basic Medishield is a new insurance policy and so rightfully it should be underwritten. If this is a case, there is a risk of pre-existing illness exclusion on the Medishield portion. One insurer told me for such a case, the Basic Medishield will not be underwritten as new but will take whatever underwriting decision made on the date when the cash-only shield plan was incepted earlier. However, another colleague got a conflicting reply when he asked from the same insurer on the same question. My opinion is that the insurer itself has no right to answer this question in the first place because that portion of the risk in question is the Basic Medishield which only CPF Board can answer. Therefore, unless CPF Board gives a written confirmation, there is still a risk. Can an obese apply for insurance? I have seen increasingly number of clients who are obese. ALL of them came to me for help because they were rejected when applying for insurance through other advisers. Frankly speaking, for these groups of individuals, they have been ill advised by their advisers because special consideration is required for these groups of individuals applying for insurance. What exactly constitutes obesity? The most popular measurement of obesity is the Body-Mass-Index (BMI) which is defined by Mass (in kiologram) divided by the square of height (in metres). So if you are 80 kg and 1.8 m tall, your BMI is 80/(1.8*1.8) = 24.7. Common illness associated with obesity is cardiovascular diseases and diabetes mellitus. When come to insurance application, it is possible for insurers to totally reject cases of extreme obesity. So it is important that care is made to ensure you do not get rejected unnecessarily. Why? Because upon rejection, you get yourself a “record” which you will need to declare for future application and this may not be in your interest. Moreover, you deny yourself the option of an insurance plan via Moratorium Underwriting. Here is my advice on what to do if you are obese. If you have been rejected or have a postponement for an insurance application before, you cannot do step 3. Apply for Moratorium Underwriting for Aviva’s Myshield. It is likely your adviser do not understand what this means because he hardly earns anything from you for this. So it is important which adviser you engage with. The insurance coverage is guaranteed to be issue but pre-existing illnesses and possibility those indirectly associated with obesity are excluded. With the help of dietician and together with the consultation from your family doctor, get yourself into a weight reduction program. Allow yourself to reduce your weight say over a year. When your BMI is within the healthy range (18.5 – 22.9), you can apply for whatever insurance required. Your chance of a successful application is increased significantly. Even if you do not get the desired insurance you want, at least you are already covered under the Aviva Myshield. What is the role of the adviser during claims? If the claim is rejected, the adviser’s duty is to provide his opinion as to whether the reason for rejection is fair in accordance to industry’s practice. If the reason is unreasonable, the adviser can advise the policyholder the next course of action such as helping him to draft a letter of appeal and/or to obtain further documentation to strengthen the claim. Normally the adviser tagged to the policy will do the above. However, it is common that the original adviser has resigned, retired or died. So the takeover adviser may be reluctant to process the claim since there is no remuneration for doing this. Strictly speaking, any adviser is able to perform the duties mentioned above since most of the tasks are related to advising the policyholder. Due to this reason, policyholders do not need to worry if the original adviser has left the company. What are the considerations when buying a private medisave-approved integrated shield plan? Whether it covers pre-existing conditions and if so under what terms and conditions. If you already have an existing pre-existing conditions and you have never been considered as under a sub-standard case in any other insurance application, your only chance at this moment is to apply for Aviva’s Myshield under Moratorium Underwriting. If you apply for other insurance and is declined or postponed, you are automatically not eligible to apply for Aviva’s Moratorium Underwriting. The reputation of the insurer – whether do they have a reputation of emphasizing on maximizing shareholders’ value at the expense of policyholders. You should not ask any financial advisers on the reputation of the insurers due to the conflict of interest. However, you can do your own research on the Internet etc. You will find a handful of insurers which are well known to have very bad reputation. The size of the premium especially when you get older. You do not want to lose your insurance cover just because you cannot pay it when you are old as your greatest need occurs when you are old. If you already have an existing medisave-approved integrated shield plan, it is best not to replace it unless the replacement product offers benefits that are highly compelling. Do note that if you are already insured with a “as-charge” shield plan, any shield plan you want to buy could only offer you marginal benefit. The risk of policy replacement is the exclusion of pre-existing illness (even those you do not know). The marginal benefit is usually too little to offset the greater risk of the exclusion. Finally, commission payable under a medisave-approved integrated shield plan is so small that many financial advisers are not too keen focus on it although the shield plan is the most important insurance. You should always remember this. When applying for insurance, the principal of utmost good faith applies. The Latin equivalent of ‘utmost good faith’ is uberrima fides. The principal of utmost good faith or Uberrima fides means you have to declare all material information – those you know and ought to know. If in doubt, just declare it. You cannot go wrong “over declaring” it but you can go very wrong if you do not declare it. In the event that you did not declare a material information, your insurer can avoid the entire contract and thus render the contract null and void. This will result in you having no coverage even for those illnesses that is unrelated to the non-declaration. One mistake that many people make is to fully rely on the questions in the proposal form to answer their health declaration. The questions in the proposer form are merely a guide. Even if the questions do not ask for it, you should always disclose it. There was also no “catch-all” question. Since I deemed her accident as material information, I declared her accident anyway and attached all the medical reports pertaining to the 2010 accident. And you know what? The underwriter deemed the declaration as material information as my client had to have a medical examination in which the medical examiner had to pay special attention to her head injury and any current ‘residual’. If the information was not material, no medical examination would have been called because the sum assured was within the non-medical limit. Moreover, the fact that the underwriter wanted special attention to be paid to head injury implied that the information declared was material. This is despite the fact that none of the questions actually asked for it. If the client applies insurance directly herself (without financial advice) and answered the questions faithfully and correctly, the head injury wouldn’t have been declared since none of the questions asked for it. What would happened in this case? Well, in this case, material information has been omitted resulting in the life policy contract being voided. The contract would be void and no claim payout will be made. That is why we always hear people complaining that “buy life insurance cannot claim one”. This is usually because there was material information that was omitted. So, the question is what really constitute material information? Is having a flu considered material information? What happens if you broke your leg when you were 6 years old? Should you declare it? If all these small illnesses need to be declared, who can ever qualify to buy insurance? That is why it is important to engage an experience financial adviser to provide the advice. Can you tell me which insurer has the worse reputation? By providing over optimistic projections of the insurers’ participating policies, they subsequently reduced bonuses when reality caught up with them. This problem affected the ENTIRE industry except one insurer that honored their own projections. Many policyholders were enticed by the high projections when they bought their policy. By selling “limited premium” whole life policy when in reality it is not as it depends on the projected cash values. Many policyholders were misrepresented into thinking that their life policy was limited premium but this was not true. Not disclosing the escalating mortality and morbidity charges in an investment linked insurance policy. Many earlier policyholders were completely unaware of the charges involved in an ILP. These non-disclosures were common in earlier years. It was only recent that charges were disclosed but even so financial advisers selling ILPs tends to “gross” over the charges and deemphasize the importance of it. Because all insurers are profit maximization entities, it is my principle to advise my clients not to purchase all their insurance needs from one insurer. It is more prudent to diversify across multiple insurers. Moreover, you can never know which one will collapse. After last year’s financial crisis, any company regardless of size can collapse. What is meant by preliminary underwriting for pre-existing condition? If you have a pre-existing condition or if you have a family history suffering from certain conditions, you may want to consider preliminary underwriting. Preliminary underwriting is a process which a financial adviser assists you to find out from which insurers are likely to offer you the best terms and conditions in view of your pre-existing condition. It is best to approach a financial adviser that is able to do so with multiple insurers so that you can make your decision in a more efficient manner. Preliminary underwriting is an anonymous process. None of the insurers know your identity. It is also non-obligatory to all parties. That is to say that the insurers that response reserve the right to offer a different terms if a formal application is made. However, from my experience the terms and conditions are usually the same as that of the preliminary underwriting unless the time span between the preliminary underwriting and the actual application was too long or there has been a change in reinsurer. Because preliminary underwriting is a “free” service, not all insurers are that willing to underwrite an anonymous case. Nevertheless, it is a service you should ask for. Do note that this increases the work load of a financial adviser. Since this is a “free” service and pays no commission, the financial adviser may persuade you to buy other commission paying but non-suitable products which require little or no underwriting. Ensure you approach a financial adviser that does not need to earn a commission to assist you. You should ask his charges for helping you with the preliminary underwriting for your pre-existing condition. I have written a magazine article for this on the importance of disability income, it can be downloaded from this link: Get Paid for Being Disabled. It has been said that insurance is like a form of gambling – that if nothing happens to you, you will get back little or nothing. This I disagree because gambling creates risk that was not there in the first place. On the other hand, insurance transfer financial risks that is already there from the onset. Ironically, not being insured is gambling. What are the fineprints in investment linked policies (ILPs)? Investment linked policies (ILPs) provides you with life insurance coverage which depends on the investment performance of the funds chosen. At older age, the cost of insurance can easily exceed the premium. If this happens, the insurer will sell the investment to pay for the cost of insurance. Such regular withdrawal of the investment will deplete the cash value. The depletion is further accelerated by the volatility of the portfolio. A highly volatile portfolio decreases in value faster if a regular withdrawal is made. It is possible to have no cash value at a certain point in life and if that happens, the policy will lapse due to insufficient premium to pay for cost of insurance. As insurance is meant to transfer risk to the insurer, it does not makes sense to have an investment risk in the insurance policy itself. A traditional whole life policy works the same way as the ILP except that the underlying investment’s performance is fully born by the insurer itself. If the underlying investment underperforms, the insurer will have the obligation to keep the policy in force as long as premium continues to be paid. For limited premium whole life policy, after the premium term is over, the policy continues to be in-force regardless of market condition. For ILP, the underlying investment risk is fully born by the policyholder. For whole life, the underlying investment risk is fully born by the insurer. ILP is highly NOT recommended. How much of my salary should I spend on insurance? You should spend as little as possible of your salary in insurance. Get sufficient coverage at the lowest cost is my advice. Therefore it is important to source for the most cost competitive cover. Since my insurance premium is huge, I am well covered right? Most people spent huge amount of money paying insurance premium but actually they are underinsured because they bought “junk” policies. You should examine your needs and source for the solutions. In most cases, people look at the “solutions” and try to fit their needs. This is the wrong way and almost guarantees huge premium into junk policies. Is company’s group insurance sufficient? Many employees are covered under their employer’s group insurance. If that is the case, many employees do not feel the need to get additional insurance for themselves. The policyowner of the group insurance is the employer. The employee is merely the life assured with no legal rights to the contract. The master contract can be terminated either by the employer or by the insurer. Moreover, the employee loses the coverage once he or she leaves the group such as resignation, retirement or retrenchment. This argument applies similarly to group insurance provided by the military. Upon lost of cover, the employee could only purchase their own own insurance. However, many insurance policies excludes pre-existing illnesses – including those that are unknown. The government is trying to encourage portable insurance for employees but this has not been met with much success. Currently the most “portable” insurance scheme is to pay the employee an extra 1 percentage points to their medisave but the employee still have to source for a medisave-approved integrated shield plan. Endowment policy is suitable for the individual who is conservative in risk appetite and cannot take risk. In addition, if there is a purpose which imposes on the requirement that no risk can be made, than an endowment policy is recommended. For example, tertiary education can be expensive and yet cannot be delayed once the child reaches certain age regardless of whether does the parents have the money for the tuition fee. An endowment policy for this case will be suitable provided a waiver of premium is installed for the parent (payer). Upon death, TPD or critical illness of the parent (payer), the endowment policy’s premium will become free and this will allow the plan to continue and mature as if premium was paid. Other than the above reasons, endowment policy is not suitable. For young individuals who wish to save up for their retirement, it is best to invest in high risk instruments. Engage an investment adviser to help is also another viable alternative. The product meets one’s needs but there is an alternative product that is significantly superior in terms of cost or benefits or both. The keyword is “significantly superior.” Marginally superior is not counted. Therefore, a regular premium ILP is considered an “inferior product.” because it can be implemented using plain vanilla term and separate unit trusts. Insurance “time-bomb” set to explode dated 12 Feb 2005. Wanted: More transparency in investment-linked policies dated 12 Feb 2005. Elderly and the sick face highest risk of hidden costs in policies dated 15 Feb 2005. Insurers need to be more upfront about ‘hidden’ costs dated 16 Feb 2005. Case calls for more transparency dated 19 Feb 2005. Is your insurance policy a waste of money? dated 27 Feb 2005. Five reasons why ILPs are an insurer’s best friend dated 3 March 2006. How does one go about buying insurance? It is important for the individual to understand his or her needs first. After that, source for the most appropriate solutions. Most people do it the reverse – looking at the solution (product) first and try to fit their needs. This way of doing almost guarantees inappropriate purchases. Although the only way to buy insurance is from insurance companies, empirical evidence has shown that the life insurance industry sells everything except insurance. 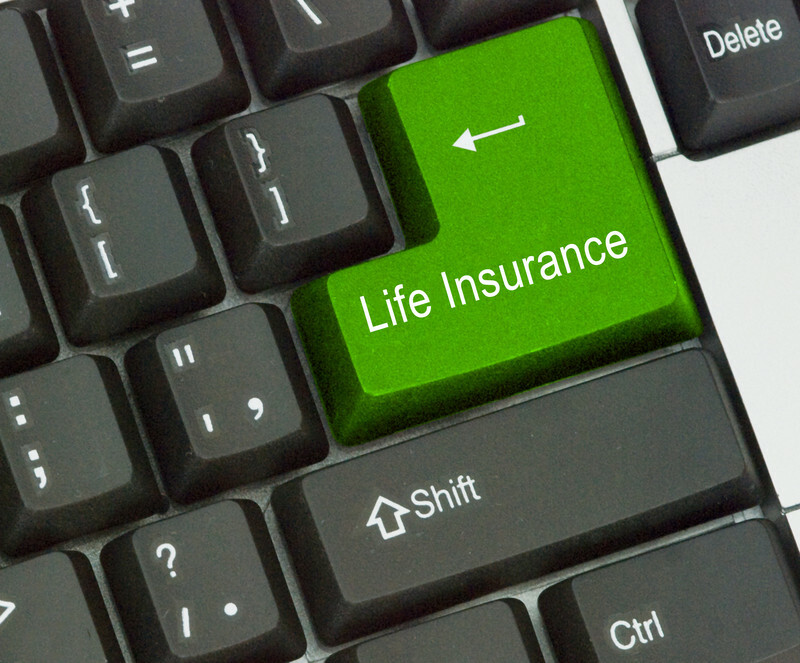 See this article: LIA’s robust sales figure in life insurance unrelated to insurance. Buying insurance these days is more difficult as it may seem and therefore it is important to seek professional advice.